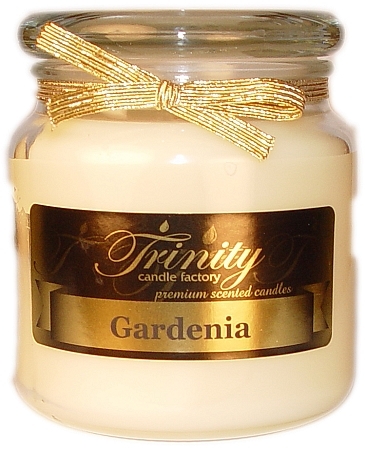 Trinity Candle Factory Premium Scented Gardenia Candle - Traditional - Soy Jar Candle - 18 oz. This Traditional style jar candle comes in all fragrances, premium scented for maximum fragrance throw. With a 120-140 hour burn time, cotton wick and premium scent, this candle is an absolute must. This Gardenia fragrance smells just like the gardenia flower. A floral faorite. Really Nice! 100% Satisfaction Guarantee. Gardenia - Reed Diffuser Oil - Refill - 8 oz. Love gardenia's! When I ordered this candle I was concerned if it would smell awful, like so many others. I was so pleased to receive this and that the scent was just perfect. If you love gardenia's be sure and order this you won't be sorry. I have a large one bedroom condo and this candle literally makes the entire house smell wonderful! 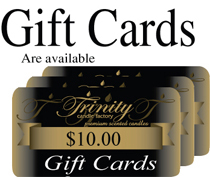 You absoulutely get your "scents" worth! I first received this candle as a gift and now I am purchasing a few for myself. I love love this gardenia candle! Not as pleased with this as the Cream Brulee.